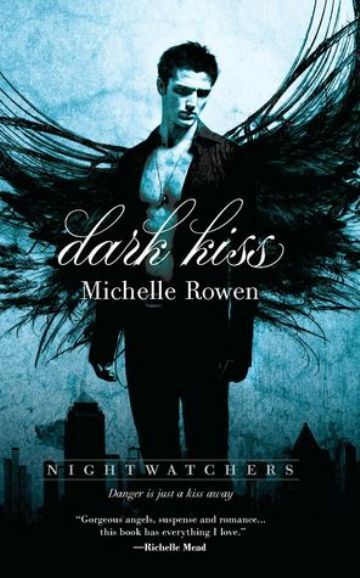 Mostly YA Book Obsessed is hosting a GIVEAWAY of Michelle Rowen's newest release 'Dark Kiss.' I've been hearing nothing but sweet reviews about this book so wouldn't it be awesome to get your hands on a SIGNED copy? ENTER NOW! Thanks for the heads up about this great giveaway, I entered! I love Michelle Rowen, so this is really cool. Dark Kiss was a quick read. It was interesting to see angels and demons actually working together to keep the balance in heaven and hell. Samantha was a character who I could at times sympathize for especially after the kiss that should never have happened and stole her soul away. I liked the mystery around her and learning who and what she really was right alongside her. Bishop was the angel sent down to lead the group of demons and angels to save Trinity but something happens and for the most part of the book he is constantly having to deal with keeping focus since his brain gets fuzzy, and the only way things clear up for him is with Samantha's touch. And because of that I didn't really find him swoon worthy actually I found him to be weak. Who I really liked was Kraven. He is a demon and is supposed to be all evil but there are times in the book when he is not busy getting under Samantha's skin he shows hints of something else...something not evil, like there is more to him then meets the eye.